Nike Nike Sensaction Purple Delight 2in1 Shampoo And Shower Gel Buy Nike Sensaction Purple Delight 2in1 Shampoo And Shower Gel For Women @ Rs.288 with free shipping and cash on delivery available with 15% Discount. 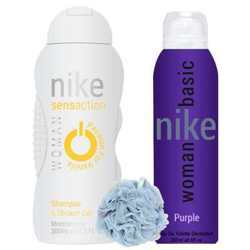 100% Genuine Nike Bath & Body Product #: Regular price: Rs.339INR288(Sale ends 01 January ) Available from: DeoBazaar.com Condition: New In stock! Order now! 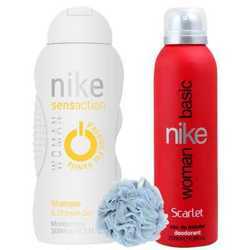 Explore Nike | More Shower Gels | Why shop from us? 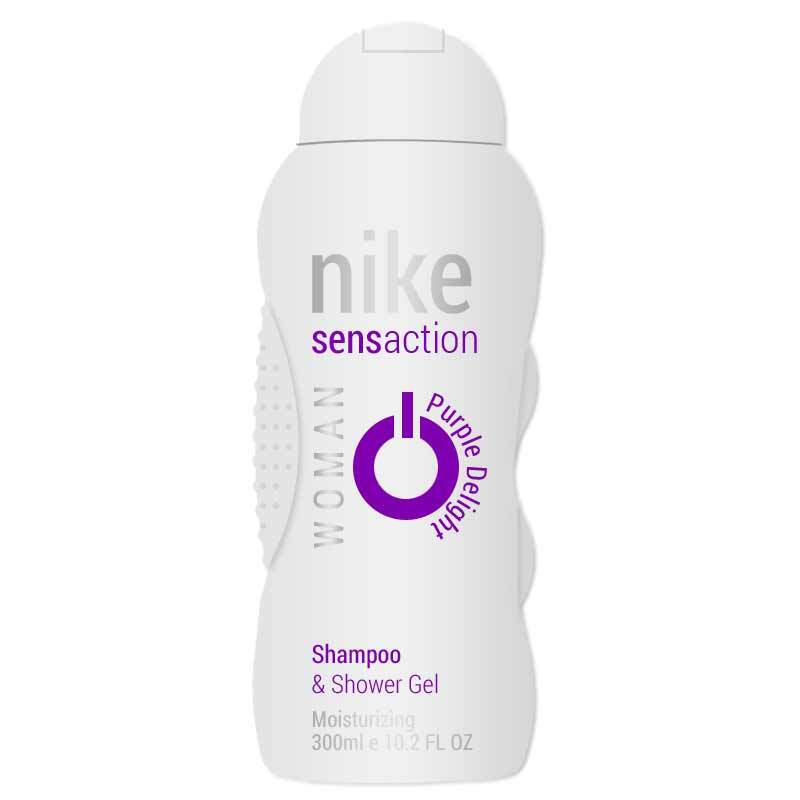 Nike Sensaction Woman 2 in 1 Shampoo & Shower Gel, Contains burst of fragrant extracts that enlighten your senses and awake you with An ultra feminine all day lasting scent. This foaming body was cleanses all the dirt and impurities well, softening the skin and hair in the process. Take the desired quantity on your palm, and apply on wet hair. Massage for 1 or 2 minutes. Rinse off. To use as a body wash, take out the required quantity on a loofah and apply on wet body in circular motion to lather and rinse with water.